I’ve written about this every single trip at least once and I will do so again and again: I love the Japanese convenience store! It is my favorite place EVER!!!! There’s nothing like it anywhere else in the world and if I could shrink one and put it in my pocket to take home with me, I don’t think I’ll ever have to cook ever! 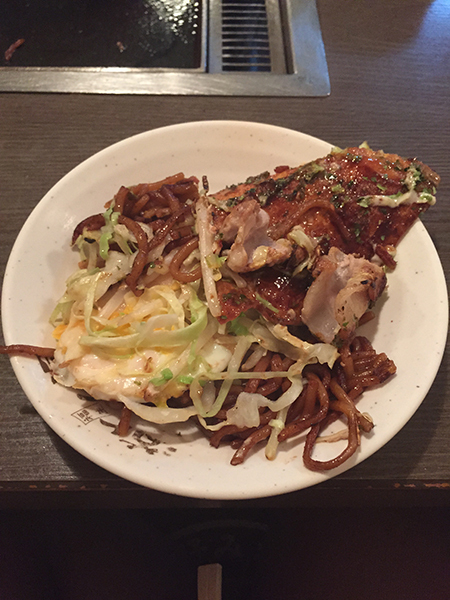 In fact, Devin often calls the konbini (Japanese for “convenience store”) his “ex-wife” since that’s pretty much how he managed to live alone in Japan for three years with his cooking skills. Isn’t that an incredible selection of food? Everything is made fresh daily and when you purchase something, you can ask the clerk to heat it up for you if needed. We got up bright and early and grabbed a filling breakfast at the 7-11 down the road before heading out to visit a couple of farms. 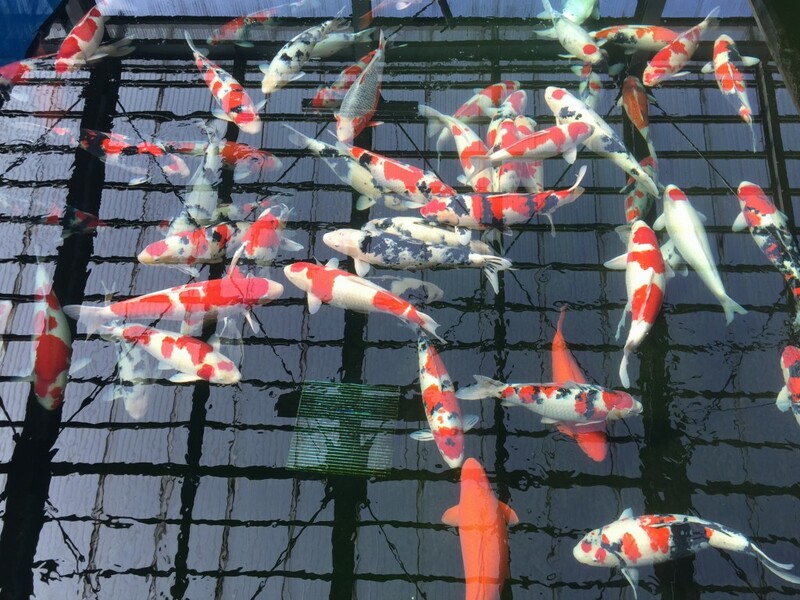 It was a very laid back day today, mostly dedicated to checking out some Koi for customers. 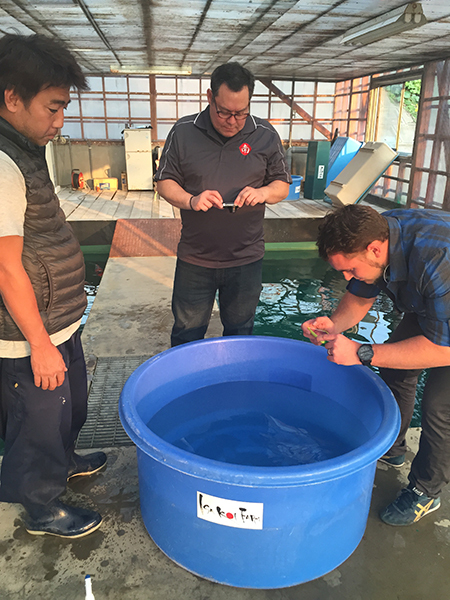 Our first stop of the day was Izumiya Koi Farm to check out what they had available. 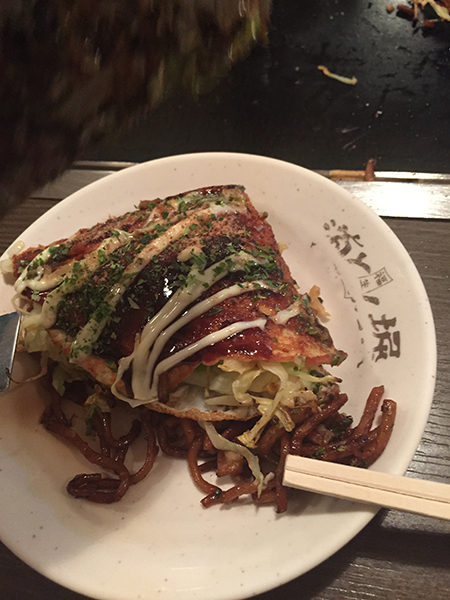 Izumiya Koi Farm is renowned for making some of the best Yamabuki Ogon in the world. As of late, they have also begun to breed Goromo that are quite good. 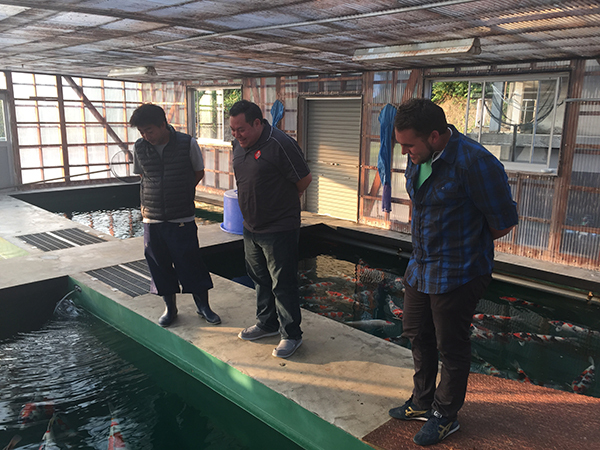 This Koi Farm has quite an impressive facility and in the past they were once considered to be the largest Koi Farm operation in Japan. To the left is a picture of some of their large Koi. IIt is still quite early in the harvest season and many of the ponds that had Koi we were interested in purchasing had not yet been harvested. Space at Koi Acres is at a premium so we are always careful when selecting what Koi we would like to add to our collection. After checking out a few more Koi, we head out to lunch where we met up with Shawn McHenry (Mystic Koi), Bob (Shawn’s Customer! ), Steve Gibbins (Koi Tours) and Masato Hoshino (Koda Koi Farm). Steve and I had been speaking about an awesome new camera that was set to be released on this day and only two of them were available for sale, one of which was already reserved for Steve. It is a 360 degree still/video camera and I couldn’t help but imagine all the possibilities we could do with it. Steve had so kindly called the camera shop to reserve the last remaining camera for me and I was meant to give him the money to purchase it later in the afternoon. After lunch, we met up with Mitsunori Isa the “Isa Cafe” as we like to call it. His new office is so comfortable and modern and every time we visit him there we always end up talking for a few hours. When we get there we were surprised to see that he had built a new greenhouse next to the office, especially since in the spring when we were last there that area was just flat land. His jumbo Koi harvest was scheduled on Sunday and he invited us to join him then. While we were there, an older gentleman entered the office and showed Isa-san a proof of next years’ Isa Koi Farm Calendar. While they were inspecting it, Mitsu called Devin over to have him check something, to which Devin looked at and promptly called me over to inspect it as well. Isa-san was asking Devin if spelling of “Calendar” was correct (which is wasn’t) so we gave them the correct spelling. The older gentleman said his thanks then went on his way. This is not regular practice in Japan and making suggestions such as we did is something closer to the American culture and is something of a faux pas in Japanese culture. However Isa-san is among the most open-minded and humble people I know, and the relationship Devin and I had built with him over several years is probably the main reason why he went to such lengths and was so interested in listening to what we had to say. After the whole calendar thing was settled, we asked to see a Koi that a customer had been inquiring about and Mitsu-san was kind enough to bowl the Koi up for us. We spend a couple more hours talking about his results in the mud pond and how it was different this year before saying our good byes. After dinner we meet up with the gang once more and I was so excited to receive my brand new 360 degree camera! Check out the first photo we took with it if you click on the link HERE.